Property Location Located in Bradenton, Holiday Inn Express & Suites Bradenton West is in the business district and convenient to Manatee Golf Course and IMG Academy. This hotel is within close proximity of Smugglers Cove Adventure Golf and State College of Florida. Rooms Make yourself at home in one of the 129 air-conditioned rooms featuring flat-screen televisions. Complimentary wireless Internet access keeps you connected, and cable programming is available for your entertainment. Private bathrooms with shower/tub combinations feature spring water baths and complimentary toiletries. Conveniences include desks and complimentary weekday newspapers, as well as phones with free local calls. Amenities Be sure to enjoy recreational amenities including an outdoor pool and a 24-hour fitness center. Dining A complimentary buffet breakfast is served daily. Business, Other Amenities Featured amenities include a 24-hour business center, express check-in, and express check-out. Event facilities at this hotel consist of conference space and meeting rooms. Free self parking is available onsite. Best Available - Img Academy Rate For Anyone Coming On To The. 2 Queen Beds Non-Smoking Spacious 2 Queen. Bedroom Features Plush Bedding And Modern. Best Available - Img Academy Rate For Anyone Coming On To The. Standard Room Bed Type Preference Cannot Be. Guaranteed As It Will Be Assigned Upon Arrival. Best Available - Img Academy Rate For Anyone Coming On To The. 2 Double Beds Poolside Non-Smoking You Will Love. The Quick And Easy Access Through A Sliding. Best Available - Img Academy Rate For Anyone Coming On To The. 1 King Bed Suite Non-Smoking Spacious King Suite. Features Plush Bedding Modern Decor with Sofa. Best Available - Img Academy Rate For Anyone Coming On To The. 1 King Bed Executive Suite Non-Smoking Treat. Yourself To A Executive Suite Spacious King Suite. 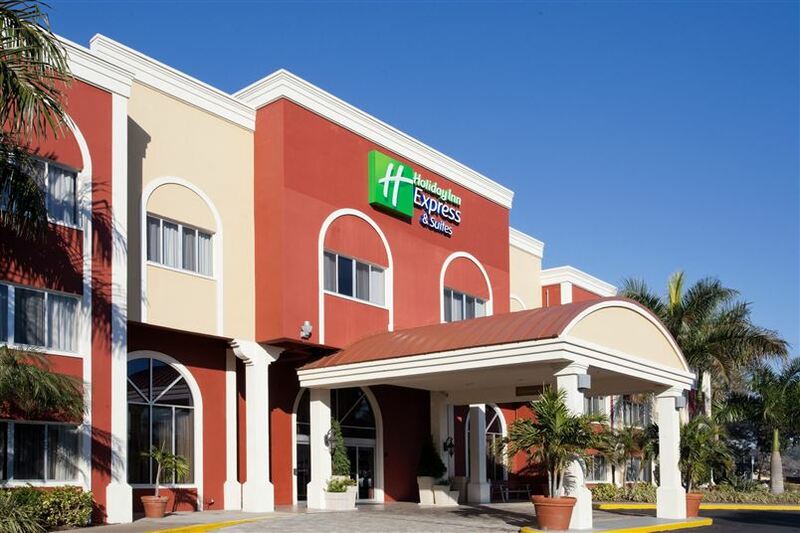 Located in Bradenton, Holiday Inn Express & Suites Bradenton West is in the business district and convenient to Manatee Golf Course and IMG Academy. This hotel is within close proximity of Smugglers Cove Adventure Golf and State College of Florida. Make yourself at home in one of the 129 air-conditioned rooms featuring flat-screen televisions. Complimentary wireless Internet access keeps you connected, and cable programming is available for your entertainment. Private bathrooms with shower/tub combinations feature spring water baths and complimentary toiletries. Conveniences include desks and complimentary weekday newspapers, as well as phones with free local calls. Featured amenities include a 24-hour business center, express check-in, and express check-out. Event facilities at this hotel consist of conference space and meeting rooms. Free self parking is available onsite.